This mansion dates back to the seventeenth century and was owned by the De la Baume family to which Louis XIV entrusted many tasks. The main entrance used to be at 9 rue des Orangers. 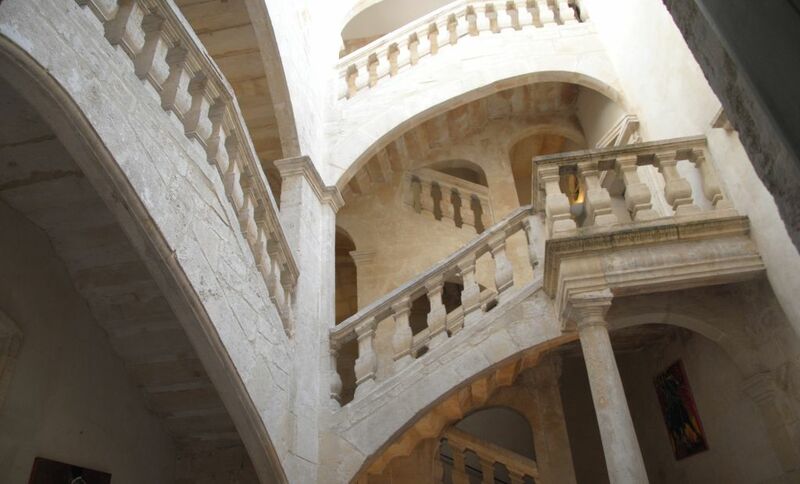 It is now a hotel whose Grand Courtyard is dominated by a large staircase. An entire wing of the courtyard is taken up by the spectacular staircase that serves landings and flights of secondary stairs. The landings have large arches with stone balusters. Today this building is Hôtel**** Marquis de la Baume.